The Nobel Peace Prize award to Chinese career dissident Liu Xiaobo sparked a major controversy in 2010, resulting in years of strained relations between Oslo and Beijing. Xiaobo's memory seems to haunt the Norwegian leaders even after his demise. Following the death of Liu Xiaobo, Norwegian Prime Minister Erna Solberg landed in hot water, as former Amnesty International Norway leader Petter Eide claimed that she reacted with relief when informed of the controversial Nobel Peace Prize winner at the age of 61. This claim was vehemently rejected by Solberg. The news of Liu Xiaobo's death reached Solberg while on vacation, whereupon she announced her "deep grief." Eide called Solberg's reaction "ill-mannered and quite provocative," criticizing the Norwegian government for being far too passive in its handling of the Liu Xiaobo controversy. 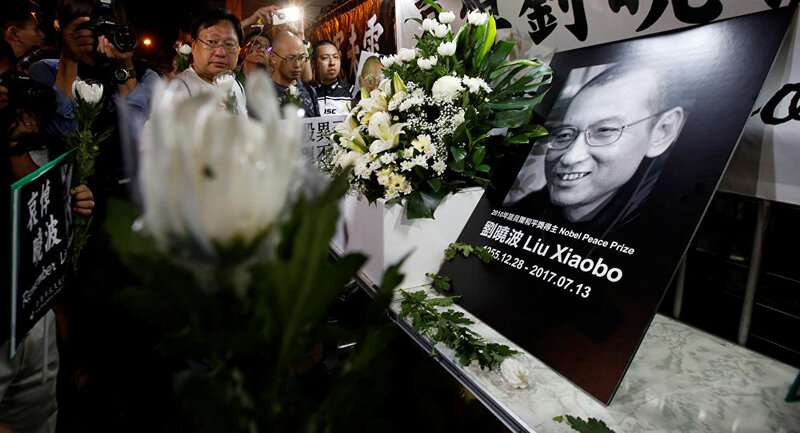 "I think it is ill-mannered and quite provocative of the prime minister to use words such as 'deep grief' when she heard about Liu Xiaobo's death," Petter Eide told Norwegian national broadcaster NRK. "In all likelihood, she reacted in the opposite manner — with relief," he added. Solberg herself responded to the accusations with a statement released through State Secretary Ingvild Stub. She called Eide's claims "sad and unfair," suggesting a possible link to the coming elections, as Eide is running for the Social Left Party opposing Solberg's Conservatives. Earlier, Solberg herself and Foreign Minister Børge Brende added fuel to the fire by declining to answer questions about Liu after he was moved from Chinese prison to a secured hospital ward due to terminal cancer. Eide ventured that the government's actions during recent weeks showed anything but sympathy for Liu's situation, suggesting that the lack of warmth or recognition from Norway was actually a sign of support for the Chinese authorities. "She surely feels the opposite of grief," Eide added. Liu Xiaobo, a staunch critic of the Chinese regime and a former figurehead of the 1989 movement of Tiananmen Square, was awarded the Nobel Peace Prize in 2010 for his "long non-violent struggle for fundamental human rights in China." Liu was not able to attend the Nobel award ceremony in Oslo in 2010 as he was serving an 11-year prison sentence for alleged attempts to "undermine political order." Despite the fact that the Norwegian Nobel Committee is an independent non-government entity, Beijing froze diplomatic ties with Oslo, calling the award "blasphemy." Relations between the two countries were not formally normalized until last December. Earlier this year, Solberg visited Beijing, becoming the first Norwegian leader to do so in a decade. 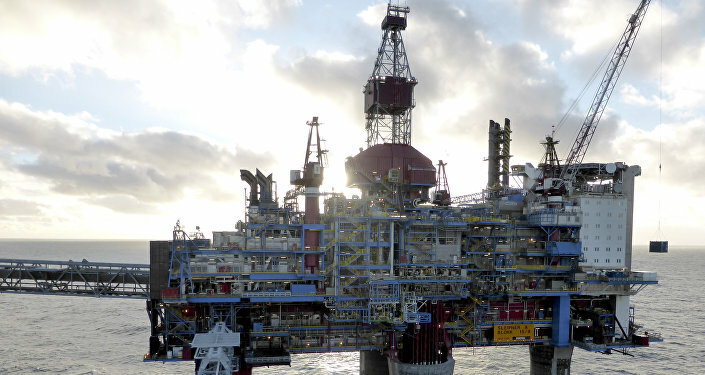 Previously, Solberg's eagerness to mend fences with the country's "largest trading partner in Asia" was linked to the detrimental effect of the Nobel row on the Norwegian economy, which suffered a major drop in exports to China. "The government chose salmon over Liu Xiabo," Aftenposten columnist Jan Arild Snoen tweeted, alluding at Norway's efforts to reclaim China as a leading seafood market.